Pop culture would have us believe that a soulmate is the perfect romantic partner. While it’s true that soulmates can make the best partners, the pairing isn’t necessarily intimate, romantic or sexual in nature. Soulmates can play any role in your life including family members, colleagues, schoolmates, neighbours, strangers and yes, lovers. A soulmate is a person whose soul has a strong connection to your soul. 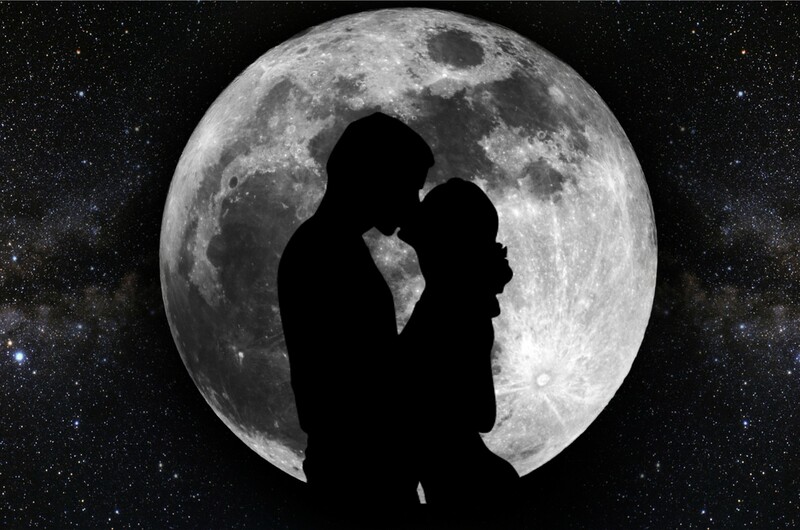 Soulmate connections can be described in one of three ways: soul families, soul groups and twin flames. These groups are like branches a very large tree. The tree is Source/Spirit, and we are all part of it. That means your soulmates are actually you at a higher vibration. While in human form, we resonate more strongly with souls who are on the same branch due to our similarities and shared backgrounds. In truth, we are all soulmates, but those souls who are closest to us evoke the strongest soul memories. Your soul family is the spiritual equivalent to your birth family here on Earth. They may take the form of a relative here on Earth, or could be anyone in your life. When you meet them, they feel like your siblings, parents or children. You and your soul family share the same over-soul, so you are all aspects of the same soul. A soul family’s purpose is to love, nurture, support, guide, protect and help you. Soul family members help align you with your soul’s purpose, and will accelerate your spiritual growth. Soul families are like human families. Within the large family tree, there are smaller groupings of souls, who form core family units. If you have soul family incarnated on Earth, then the chance of meeting is strong. Spiritually, you will be aware of each other, and will be intuitively drawn together. It may take many years, but when the time is right you will come together. Sparks fly when you connect with soul family. If there’s a sexual attraction, then these connections can be very exciting and passionate. Other times, the connection is more familial, one of instant kinship. No matter the nature of the connection, you will love them, and want to be with them, from the instant you meet. Soul family connections are the most loving, supportive, nurturing and compassionate on Earth. The connection is hugely powerful and undeniable. You two will be drawn together by forces stronger than any Earthly conditions (i.e. gender, age, marital status). You may express the connection in a romantic coupling, or by becoming the very best of friends. This person will always feel like family. Soul family relationships have the greatest longevity. Of any relationship, this is the one that will last a lifetime (and beyond). The connection provides such amazing love and support, that no other relationship can surpass. A soul group is akin to your Earthly friends, classmates and coworkers. Soul group member meetings are often triggered by significant life events, or they act as a catalyst for major life changes. Your soul group members are working on the same life assignments as you so they have matching or complimentary life themes. They come into your life in order to help you achieve a shared spiritual objective. You have plenty of soul group members. It’s likely that many of your soul group are incarnated here on Earth at this time. Chances are excellent that you have already met at least one of your soul group members. The more spiritually in tune you are, the more of these connections you will make. There’s a slightly more intense connection with soul family members than with your soul group, but both elicit powerfully positive feelings and loving intuitive memories of Home. Your soul group members instantly feel familiar and safe to you. You may find yourself sharing private details of your life with a stranger on a plane. Maybe it’s someone you met in a store who recommended a life-changing book, or it could be the person you’ve just met who feels like a long-lost friend. However the connection happens, it will change you in a positive way. Soul group members come into your life at significant times in order to assist you with your life’s purpose. These meetings help to fuel your spiritual growth, along with assisting you with making huge leaps forward in your life. Soul group members can play almost any role in life: best friend, your partner, a family member, a neighbour, a workmate, or someone whom you chanced to meet in passing. They help you to remember why you’re here on Earth, and what you hoped to accomplish. Due to the purpose-driven nature of these connections, these relationships may not last. No matter how short- or long-lived, these encounters always serve a higher purpose. A twin flame is a very special soulmate connection. You share the same immediate over-soul. In order to create polarity consciousness on 3-D Earth, your over-soul chose two separate expressions of itself, one male and one female, each perfectly balanced and complementary to the other. The two soul aspects may incarnate together, or one may remain on the Other Side (next dimensional level) while the other descends into this level of consciousness. You and your twin flame are perfectly complementary, like two sides of the same coin. These two individuals, possessing the same soul, are intuitively aware of each other, and spend a lifetime looking for the other. Your twin flame acts as a guide and ballast, giving you both direction and balance while you are here in physical form. For instance, if you are female, or embody female characteristics, then your twin flame is comprised of male characteristics. You are perfect expressions of yin-yang energies. Your twin will push and pull you through learning curves. A meeting with your twin here on Earth would profoundly accelerate your spiritual growth. The soul is multidimensional and therefore has multiple twin flames; however, the portion of your soul that is incarnated here has only one twin flame. It used to be rare to have both halves of the over-soul incarnated here on Earth at the same time, but that’s changing. With our imminent expansion of consciousness into 5D, more twin flames are choosing to reunite here on Earth. Still, the chance of meeting your twin flame is slim. That doesn’t mean you can’t connect with your twin flame via spiritual methods. Immediate, undeniable, powerful soul recognition occurs when encountering one’s twin flame. This soul is your mirror image. You cannot hide anything from your twin flame. All aspects of your being, both light and dark, are transparent to your twin. That means anything that isn’t resolved, healed or in balance will rise to the surface when you’re together. This can be overwhelmingly intense if you haven’t worked through your issues before meeting your twin. That’s why most twins have chosen not to incarnate together. The twin flame connection transcends this Earthly realm and is therefore absolutely permanent. That being said, twin flame relationships here on Earth do not always last due to the intensity of the bond and the yin-yang nature of your two souls. The duration, therefore, depends greatly on timing and soul preparation. My twin flame and I do not speak. But aside from that I’ve still managed to learn a lot from him. High school was hell on earth having him so close… Having to sit behind him. We’re mirrors…. And my mind has been completely overwhelmed. But he has treated me as if I could disappear into thin air a foot away from his face and that he wouldn’t even blink. It’s so sad ): I’ve never felt so disappointed in myself. I’m constantly disappointed in myself. What have I done so wrong? My heart goes out to you. How sad that your twin flame didn’t even acknowledge you. You haven’t done anything wrong. The thing with twin flames is they seldom come together in this realm as they are perfect opposites. It’s like magnets. You try to be together but there’s a force pushing you apart. That will disappear as we ascend higher in consciousness. The love that you ache for, in the interim, is best found with someone else, such as a soul mate. And the best way to find a soul mate is to fall in love with your own soul.